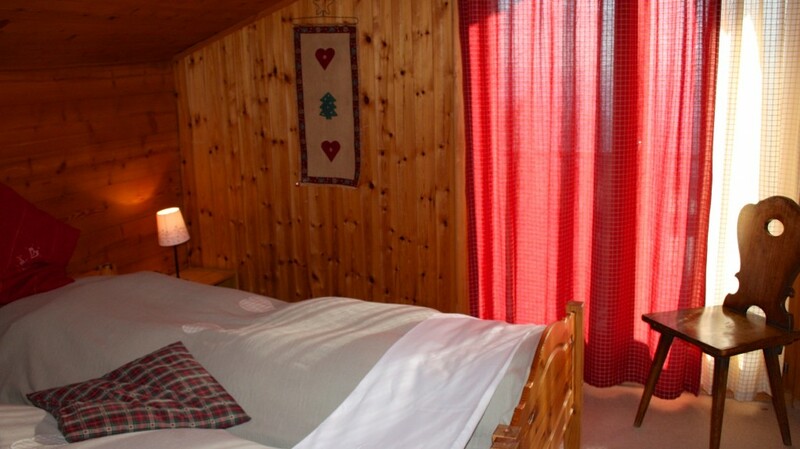 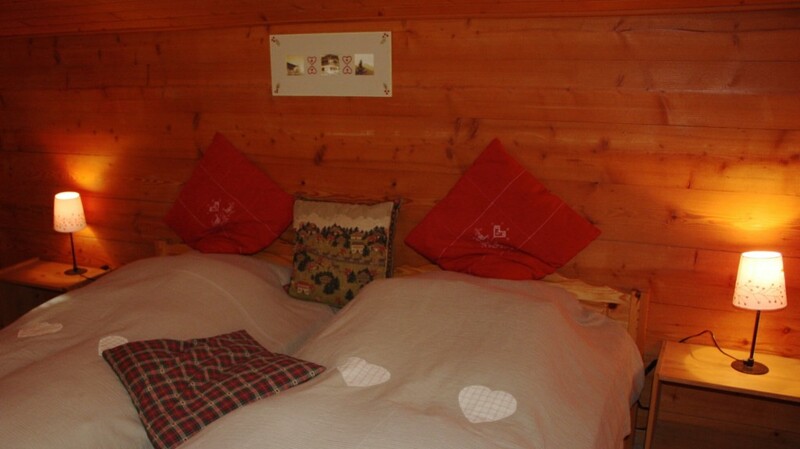 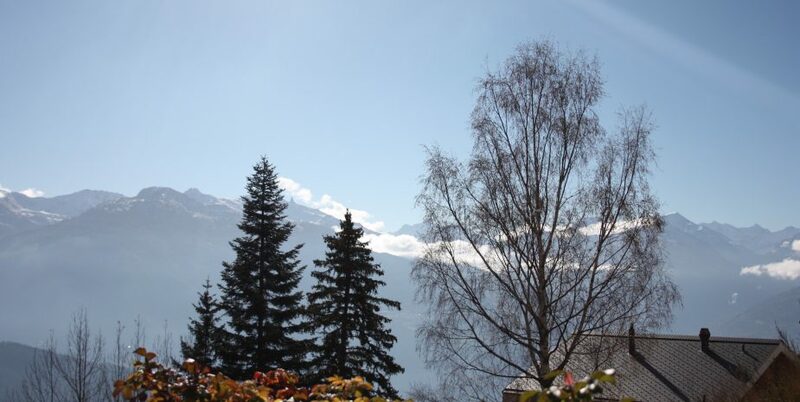 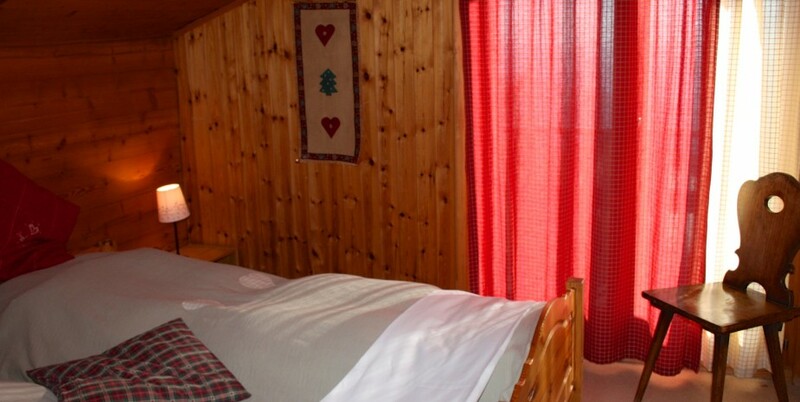 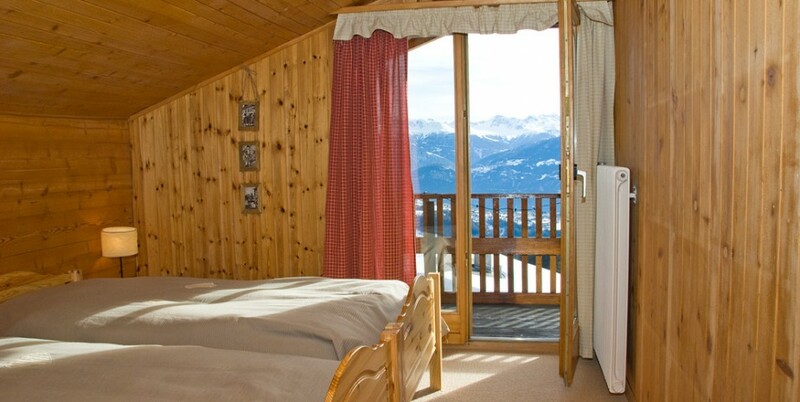 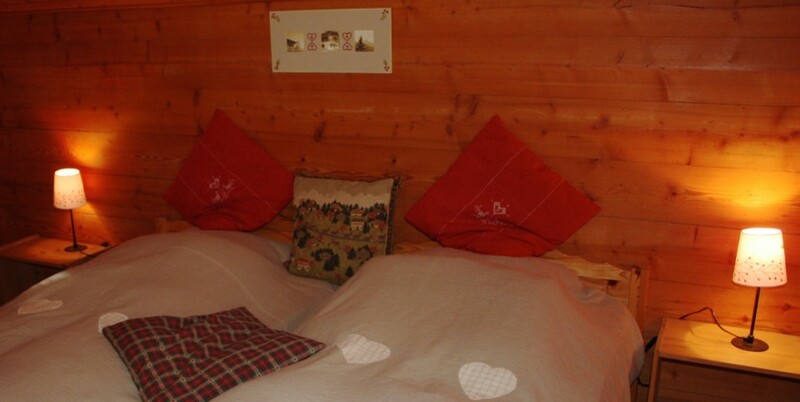 A charming twin bed room on the 2nd floor with en suite shower & toilet, with a magnificent view over the Alps from the balcony (shared with the Weisshorn room). 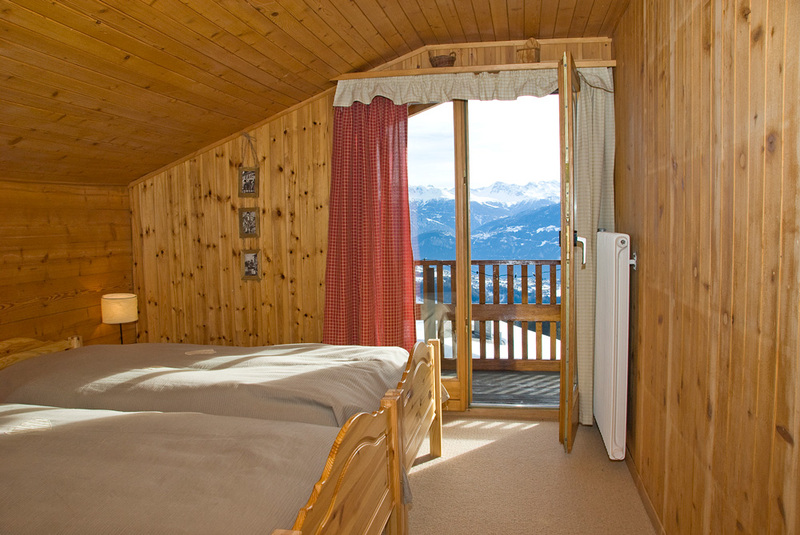 Decorated in beige colours, traditional Alpine style, carpet, wooden walls, and slanted roof on one side. 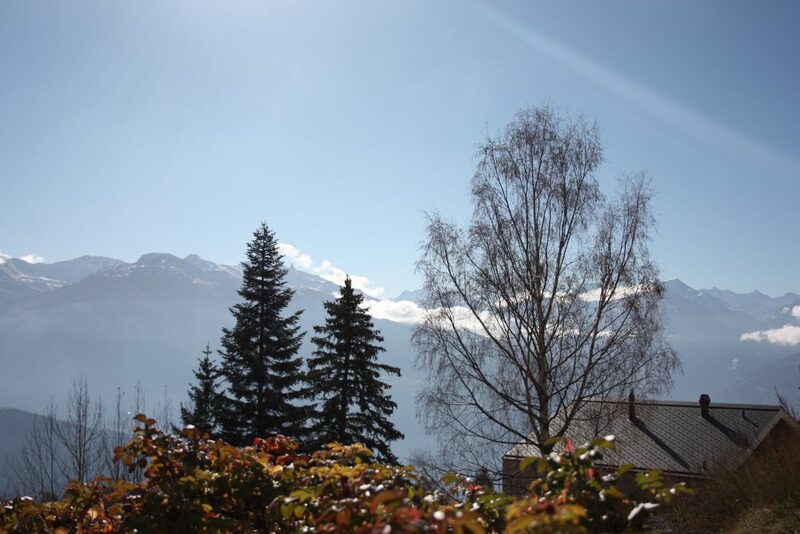 South facing.